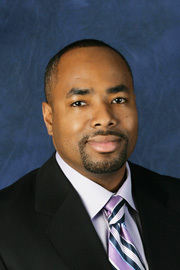 Deon Gomes joined the Virginia Hospital Center Interventional Radiology Department in November 2009. He received a Master of Medical Science from St. Francis University and graduated with honors from the Anne Arundel Physician Assistant Program. Prior to joining the Virginia Hospital Center Interventional Radiology Department, he worked as an Interventional Radiology Technologist for 10 years. Mr. Gomes was born in Guyana, South America, and moved to the United States in early childhood. His professional interests include patient education and patient safety. In his spare time, he enjoys golfing, football, soccer, and traveling.